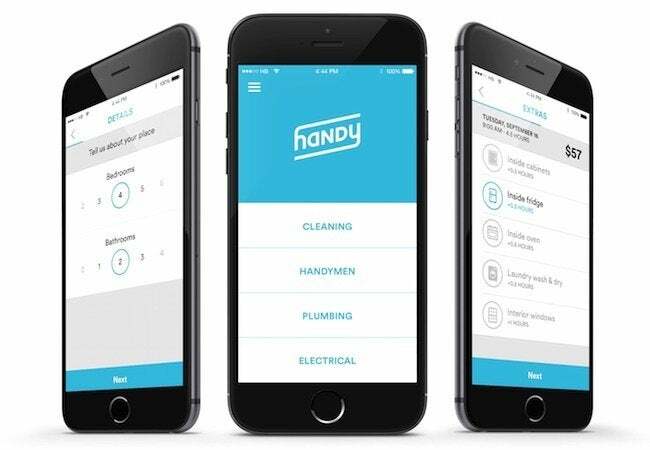 When you don't know have the time, interest, or know-how to take on one of life's many chores, turn to Handy for help. Today, Americans buy everything from groceries to furniture over the Internet without thinking twice. But what’s true of products hasn’t been true of services, at least not so far. However, it stands to reason that perhaps millions of people would appreciate the convenience of booking cleaning and repair appointments with click-of-a-button ease. Or so thinks Oisin Hanrahan, a founder of Handy, a four-year-old company that seeks to become “the Uber of home maintenance”. Using the Handy site or its companion mobile app, customers are able to book a maid, plumber, electrician or general handyman in mere minutes. On the strength of that convenience, the company has expanded to 37 locations, including most major U.S. cities. Though its growth has been rapid and wide-reaching, Handy hasn’t wavered in its mission. Hanrahan, who once dabbled in real estate, knows it’s a hassle to find reliable pros. Handy exists to simplify that search. Here’s how it works: After filling out an online form with basic information, you receive a list of qualified local pros and price quotes for the task you want tackled, be it painting, plumbing, housecleaning or something else you don’t want, or don’t know how, to do. (You can even hire someone to assemble that “simple” wall unit you bought from IKEA.) As early as seven the next morning, the work you ordered can be underway—with a 100% money-back satisfaction guarantee. Not surprisingly, Handy has been party to no small amount of buzz. For instance, Forbes ranked the company among the “Hottest Startups” last year. Meanwhile, it’s also witnessed negative press, some of it in connection with a lawsuit over alleged labor-code violations. There may be some critical kinks left to work out, but for time-starved homeowners and renters, there’s reason to hope that Handy ultimately succeeds, because, well, the whole thing sounds pretty handy, doesn’t it? For more information, visit Handy.